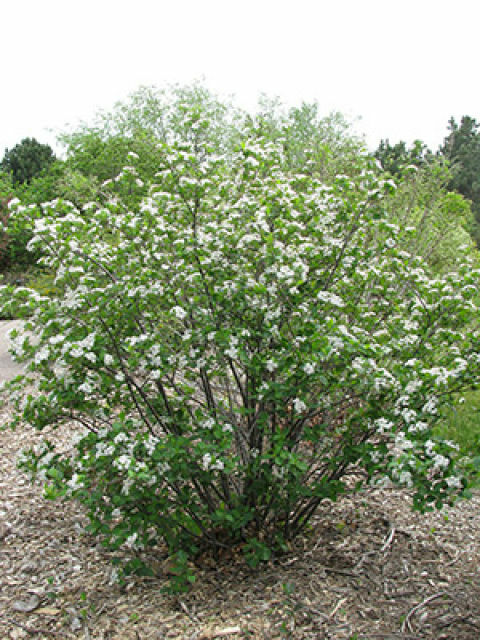 Black Chokeberry is January 2019 Plant of the Month – Glacier View Landscape and Design, Inc.
Black Chokeberry, or Aronia melanocarpa elata and its variants Iroquois Beauty Dwarf Chokeberry and Lowscape Mound Black Chokeberry are great plants for use along the Front Range of Colorado in a woodland setting, or where there is a lot of excess water. It is fairly drought tolerant, having a low water requirement, but it can handle excess water better than other shrubs. It can get fairly large, 6-8’ high for the standard of the species, but the sub species are smaller (dwarf) and can be used in smaller residential landscapes. 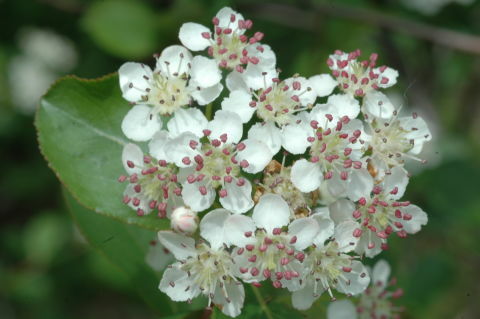 Their highlights are that they produces beautiful clusters of pink-white flowers in spring, and then throughout summer produce an edible black berry that birds will eat into December and January as winter persists and the tartness of the berry mellows. And, it has great fall color. It produces green leaves that change to red, burgundy and purple before falling off for winter. 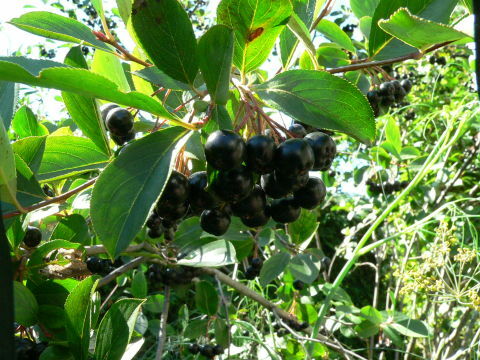 The fruit can be used for jams and jellies, syrup, tea, juice and wine, but it is rather tart when eaten from the bush fresh, so it must be processed to release the sugars. It is a very high anti-oxidant fruit. It can tolerate salty soils, and prefers alkaline soils which are abundant here in our Erie Colorado landscapes. As mentioned, it can handle poorly drained or well drained soils, so it is rather adaptable to varying soil types. One downfall is that it is prone to suckering, but the suckers to not tend to spread far and wide into lawns. It is also attractive to rabbits and deer, but in the right landscape, perhaps one with a dog to scare away wildlife, it can be an attractive alternative to other common plant species. It prefers full sun, but will tolerate some filtered shade or afternoon shade. Plant a few in a wet spot in your yard to see if they thrive. Odds are in your favor. Contact Dave to learn about a free consultation and estimate for your local Erie (Boulder), Colorado area landscape project. Follow us on Pinterest or Facebook to see our featured landscaping project photos.